And this isn’t just some responsive web site where the content shifts around - this is a web application, folks, and it’s not easy to do. Web applications (compared to web sites) have a lot more functionality sometimes needing to support complex end to end processes, playlist management, purchasing things, etc. - much easier to achieve on a large screen. That’s why most of the articles about responsive out there tend to talk about it in the context of content and not actually having the user do too much work. 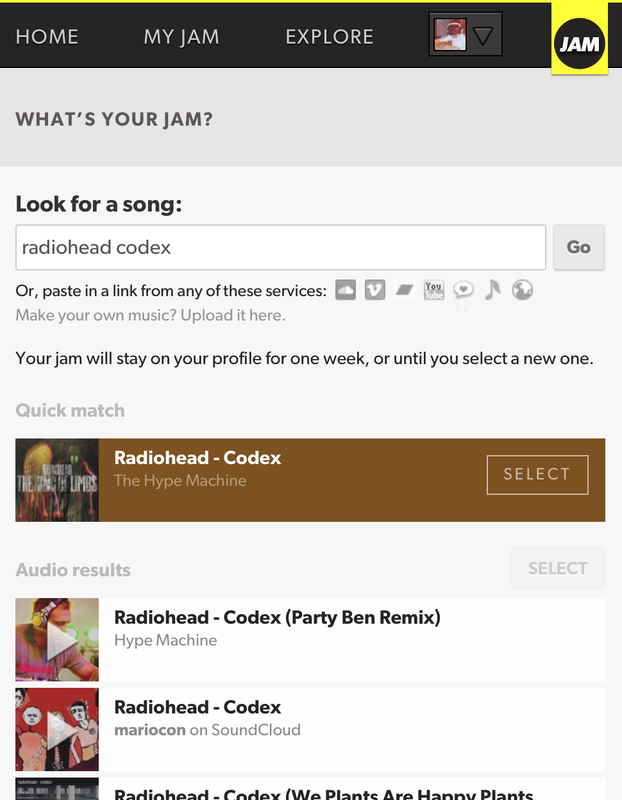 This Is My Jam does a great job of getting the user through a somewhat complex process - choosing a new jam, which has a lot of options along the way including search, multiple styling options, and previewing/sharing to a social feed. 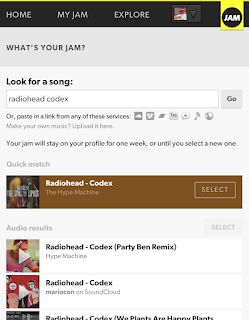 And it uses casual (not system-driven) language along the way (like a button labeled 'Yes, Looking Good') that resonates and fits well with the fun in posting a jam. Well done!